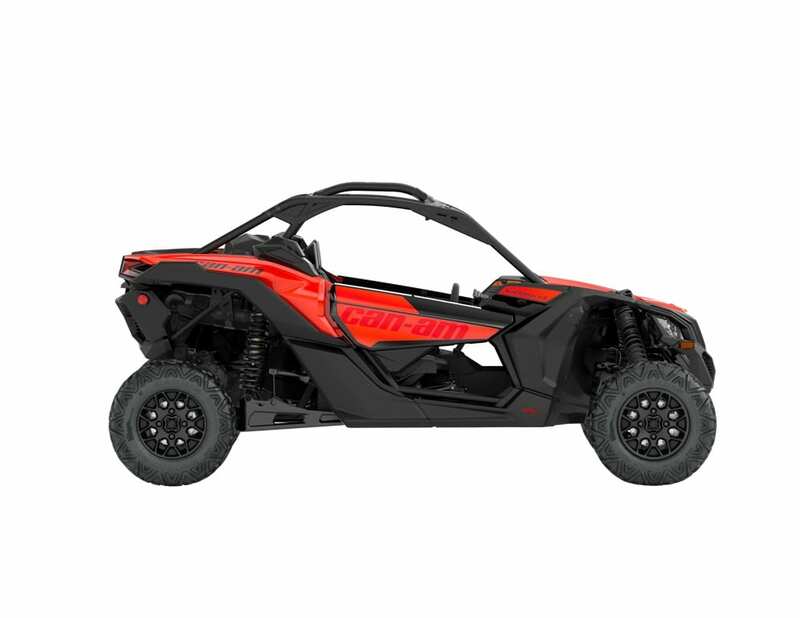 Can-Am continues to deliver on its promise to bring the defiant, precise and powerful dynamics of the Maverick X3 side-by-side vehicle family to the off-road masses with the introduction of the naturally aspirated 2018 Can-Am Maverick X3 900 HO base package. The new Maverick X3 900 HO vehicle arrives with the proven and segment-altering Maverick X3 family genetics, including the triple-cylinder Rotax powerplant. Along with a few specific package features, like its stirring Can-Am Red color and a full 18-in. (45.7 cm) of suspension travel, the new point-of-entry Maverick X3 family member further blurs the lines between affordability and precision performance. Can-Am engineers, responding to consumer demands, have added the exclusive fully lockable, on-the-fly Smart-Lok front differential technology, designed in conjunction with TEAM Industries, to its top-of-the-line Maverick X3 X rs Turbo R and Maverick X3 MAX X rs Turbo R vehicles wearing the new Triple-Black and Can-Am Red coloration. Unmatched surefootedness and ample traction means these elite Super Sport-class models — complete industry-leading power, precision handling and supreme comfort — can tackle challenging terrain with the utmost confidence and maneuverability. 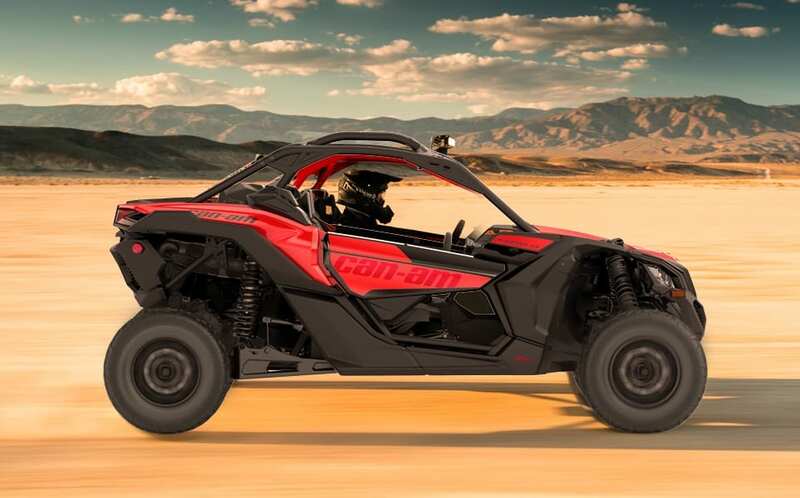 The 2018 Can-Am Maverick X3 900 HO side-by-side vehicle has an extremely bold character that undeniably separates it from the crowd, and it is designed so the occupants feel connected to its every move. The Maverick X3 side-by-side vehicle is comfortable and intuitive, inspiring confidence directly to the driver no matter the skill level. 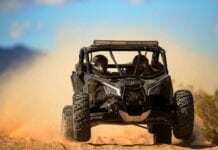 The introduction the 2018 Can-Am Maverick X3 900 HO extends the Can-Am X3 side-by-side vehicle’s industry superiority to the hordes of performance enthusiasts, but does so at an exceptional value. 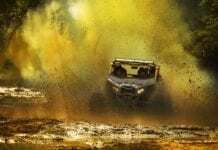 Sharing the same core DNA and many of the same features as the most powerful factory-built side-by-side vehicle on the market, the turbocharged 172hp Can-Am Maverick X3 X rs Turbo R side-by-side vehicle, the all-new, 90hp X3 900 HO vehicle remains defiant, precise and powerful in its makeup. A few strategic package changes compared to its high-horsepower sibling create a well-equipped 64-in. (162.5 cm) wide vehicle that’s superbly proficient in a wide variety of terrain. 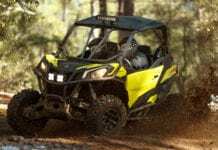 The new 2018 Can-Am Maverick X3 900 HO has the same industry-altering Maverick X3 family design to create a similar experience for both driver and passenger. 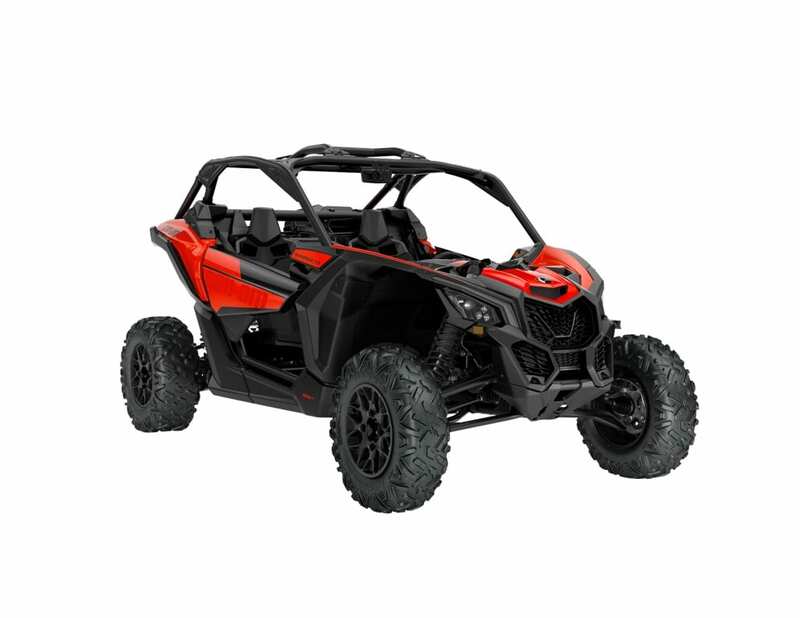 Its performance-driven mechanical and structural designs meet demanding off-road settings, while its ample performance will continue to build recreational memories for sporty enthusiasts. 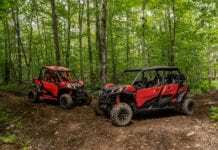 The 2018 Can-Am Maverick X3 900 HO family of rock-ready side-by-side vehicles features excellent ground clearance to accommodate varying conditions. Its high and dominant posture ensures optimal off-road capabilities with no compromise to line-of-sight. The 2018 Can-Am Maverick X3 900 HO side-by-side vehicle is designed with a smooth line of sight to create an optimized field of vision for both occupants. The 2018 Can-Am Maverick X3 900 HO comes standard with 3-point seat belts, but is 4- and 5-point harness ready. The 2018 Can-Am Maverick X3 900 HO has a double A-arm and sway bar setup that delivers 18-in. (45.7 cm) of travel. 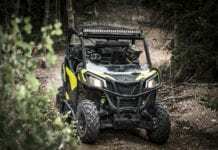 The Can-Am Maverick X3 900 HO side-by-side vehicle sports 14-in. (35.6 cm) black, aluminum wheels with six-ply, 27-in. (68.6 cm) Maxxis Bighorn 2.0 tires. The proven tires have sturdy lugs and a non-directional tread pattern for a smoother ride over a wide variety of terrain. 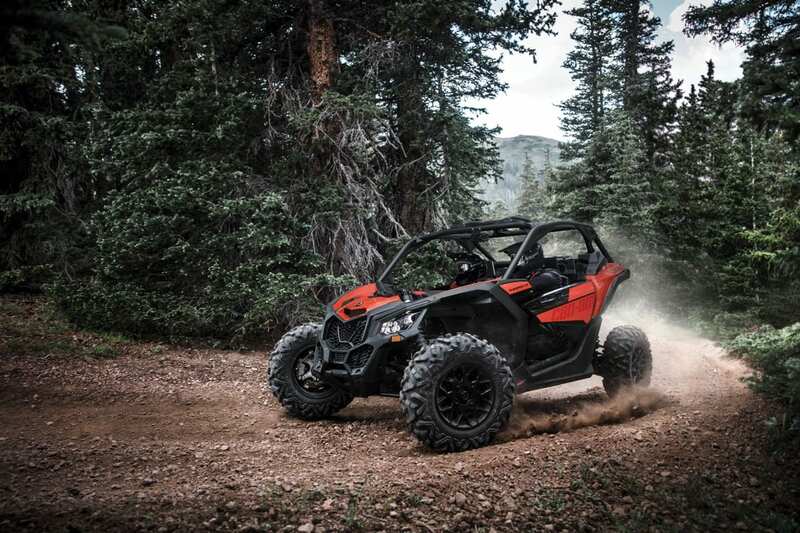 The Can-Am Maverick X3 900 HO side-by-side vehicle has the same high-performance QRS-X CVT transmission and a compact gearbox that’s optimized to enhance throttle response without torque interruption. It has a smooth and predictable engagement, and stays at an optimal RPM so the focus can be on driving and overall performance instead of shifting, even in the most severe conditions like hill climbing or muddy terrain.